You can set a welcome message and auto-reply buttons by filling out frequently asked questions or information to inform new customers automatically. 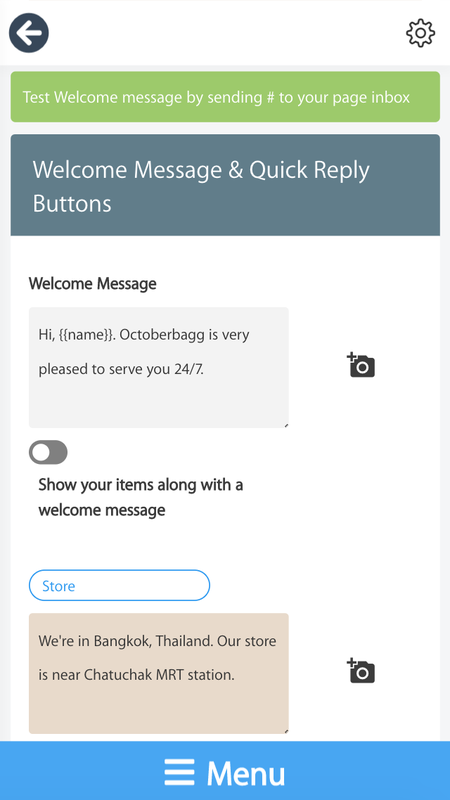 Not that the welcome message and auto-reply buttons will show up only to new customers sending you messages for the first time. 3. 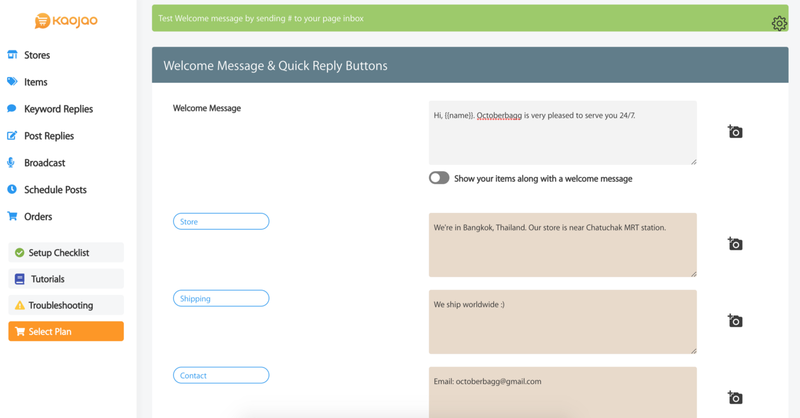 Set a welcome message and auto-reply buttons. Your information will be saved automatically. 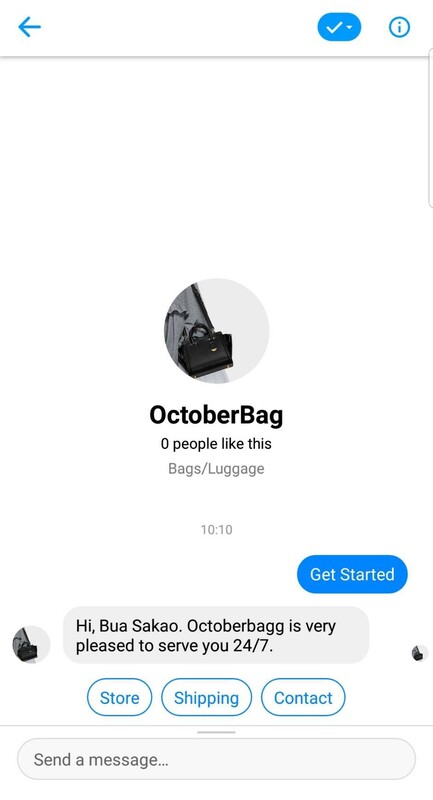 Welcome Message and Quick Replies will be shown to the customers as shown below.